Recent Arrival! **CARFAX ONE OWNER**, FOUR WHEEL DRIVE! !, LOW MILES!, KEYLESS ENTRY!, MP3 AUDIO!, FACTORY ALUMINUM WHEELS!, A USED CAR YOU CAN DEPEND ON!, COME SEE OUR CERTIFIED SALES PEOPLE!, AVAILABLE TODAY!. Harvest Auto is pleased to offer this wonderful 2015 Ford F-150. XLT White Odometer is 34895 miles below market average! *Find out why people are traveling hundreds of miles away to Yakima to purchase their next new or used vehicle. The home of Bottom Line Pricing where we shop our prices against the competition every day to take the headache out of car buying. Non-commission Sales Consultants and a fast friendly experience means not only will we find the vehicle that best meets your needs and your budget. Just shop us, you'll be glad you did! * Awards: * NACTOY 2015 North American Truck of the Year * Green Car Journal 2015 Green Car Technology Award * 2015 KBB.com Brand Image Awards Based on 2017 EPA mileage ratings. Use for comparison purposes only. Your mileage will vary depending on how you drive and maintain your vehicle, driving conditions and other factors. Looking to buy a used Ford in Yakima? Come to Harvest Auto for a huge selection of used Ford vehicles in Washington’s Yakima Valley. Our used car dealership near Ellensburg, Sunnyside, & Union Gap has a variety of Ford trucks & SUVs that each come with a clean CarFax report. 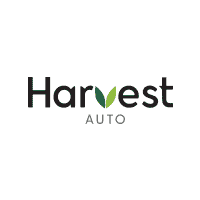 At Harvest Auto in Yakima, our inventory is priced to sell. Whether we’re pricing a powerful Ford F-150 or a versatile Ford Explorer, we always used pricing tools like CarGurus & KBB. Thus, you can guarantee that you’re getting the best deal in Washington when shopping with us.